Yonder Realm is a new epic folk death metal band from Long Island, New York. They were formed in 2009 by Jesse McGunnigle and Edward Delinden, who both played in the melodic death metal band inRed. The same year they released the demo “Reclaiming the Throne (Of Madness)” and started their first gigs. After the departure of Edward in 2010, Jesse gathered a new line-up for live shows and Yonder Realm started recording their debut EP, “Beyond a Long Lost World“. The album was finally released in the end of 2011, but I only recently got it in my hands. “Beyond a Long Lost World” includes 6 songs and its total duration is over 31 minutes, quite long for an EP. The album production is professional and the band has a very good, clear and balanced sound. Powerful melodic guitars, epic discreet synths, various folk elements and brutal vocals, are the basic characteristics of Yonder Realm’s music. The death metal past of the band’s founders is obvious, mostly in their guitars and vocals. Their compositions are based on fast riffs, melodic and technical lead guitars, catchy traditional tunes and folk instruments, most probably keyboard samples. There are many good moments in their songs; there also few indifferent parts. Jesse’s vocals are epic death black metal screams, but there are many guest vocalists participating in the album, adding clean male and female vocals plus many beautiful epic choirs. Their songs are quite variable, changing from straightforward aggressive metal, to a more epic melodic metal or fantasy folk metal mood. The band’s style is rather bombastic and sometimes their songs have an almost symphonic atmosphere, fitting perfectly to the epic fantasy themes of their lyrics. Maybe this review is a bit delayed, but the band hasn’t released anything new yet, so it’s still their latest work. ”Beyond a Long Lost World” is a very promising debut from a skilled band, with a professional and technical sound and many wonderful melodies. They still need work to present something more personal, but I think it’s only a matter of time. If you like epic folk death metal, you better give ‘em a listen. They are currently working on their first full-length, but there are no details yet. 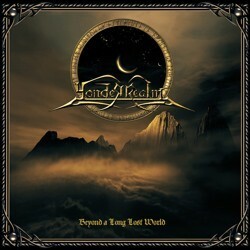 “Beyond a Long Lost World” is self-released in a jewel-case edition CD with 4-page booklet illustrated by Gragoth, including all the lyrics. You can visit their official Facebook profile to find more info about them and listen to their music.